Because of the increasingly linked relationship of the computer to the audiophile D/A converter, DAC manufacturers have not only progressively improved the resolution and sound quality of their products the last ten years, but they also have added features that make them more flexible for the PC user. DAC manufacturer Benchmark Media is a prime example of this trend with its new DAC2 HGC, a D/A that not only gets a signal-path upgrade, but also decodes the new DoP (DSD-over-PCM) audio files now available for computer download. It has taken awhile, but Benchmark Media has finally upgraded its long-running DAC1 Series with the new flagship, the $1,995 DAC2 HGC, and it is a nearly perfect DAC. 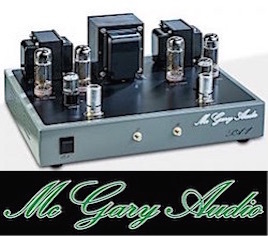 Its feature set is a mile long and includes an improved, low-impedance drive headphone amp, implementation of the new ESS Sabre32 chip/clock, the aforementioned DSD-over-PCM compatibility, word length/sample rate indicators, digital and analog pass through — and a combo analog/digital volume control. The DAC2‘s audio performance is stunning — in that it projects a smoother texture, with increased accuracy in the bass and mid-frequency soundstage. But the top-end is full of energy and detail. Usually, a DAC’s subjective improvements are subtle, but the DAC2 HGC’s audible improvements are obvious on first listen. 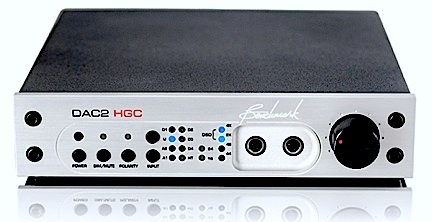 The DAC2 HGC is Benchmark’s top-of-the line DAC, replacing the DAC1 HDR. With some similarity to the DAC1 HDR (remote control operation, analog input, and USB input), the feature set is much enhanced; the new DAC engine is the heralded ESS Sabre32 DAC chip, employed in a custom circuit that offers more digital headroom, better S/N and achieves gain via a unique Hybrid Gain Control (analog/digital) volume control. John Siau, Benchmark VP and chief product designer, said the DAC2 HGC’s High-Headroom DSP is key to the perceived audio smoothness heard in the DAC. Siau noted that the new DAC can handle signals as high as +3.5 dBFS, offering smoother-sounding performance on maxed digital recordings. A boost in playback resolution and refined smoothness make the DAC2 HGC's sound much closer to live music, and the addition of DSD compatibility opens up more possibilities in the world of high-res computer music. According to Siau, most digital systems clip signals that exceed 0 dBFS. For years, he explained, the 0 dBFS limitation seemed reasonable, as 0 dBFS is the highest sinusoidal signal level that can be represented in a digital system. However, real-world measurements and math equations show that PCM digital systems can have inter-sample peaks that may reach levels slightly higher than +3 dBFS — though the individual samples never exceed 0 dBFS. The digital inputs are controlled in 32-bit DSP, said to achieve optimal L/R balance, and precise stereo imaging, while avoiding any source of noise and distortion. Benchmark also believes its unique passive output attenuators are vital to the DAC2's performance, providing distortion-free gain reduction — without reducing the dynamic range of the converter. The attenuators are said to optimize the gain staging between the DAC2 HGC and the power amplifier. This optimization is essential for maximizing the dynamic range of the entire playback system, Siau added. Benchmark has implemented an impressive list of internal components to get maximum performance out of such a reasonably priced DAC. The DAC2 HGC uses the 8-channel 32-bit Sabre32 ES9018 D/A converter. Four balanced outputs are summed in balanced low-impedance I/V converters to form each of the two balanced output channels. National Semiconductor LME49860 op-amps (which can easily handle low impedance loads) are used throughout the audio path. An Alps motorized gain control is used to control the volume. Digital processing includes a Burr-Brown SRC4392 Digital Audio transceiver, and a Xilinx FPGA running custom Benchmark firmware. The DSP functions include Benchmark's UltraLock2(TM) jitter attenuation system, asynchronous upsampling, automatic de-emphasis, PCM and DSD filters, DoP decoding (for DSD playback), word-length detection and sample rate detection. The DAC2 HGC uses distributed voltage regulation. Each critical circuit has dedicated low-noise voltage regulators. As per Benchmark's typical high-grade build quality, the circuit board has six layers of copper and includes 3-dimensional shielding for critical signals. Always obsessed with jitter suppression, Benchmark relies on its UltraLock Jitter Attenuation and asynchronous USB2 input. According to Benchmark, the USB input uses an asynchronous USB transport mode to eliminate the computer and the USB connection as a source of jitter. The USB input can operate in a USB 2.0 mode that supports sample rates up to 192 kHz, or it can operate in a driverless USB Audio 1.1 mode — which supports sample rates up to 96 kHz. The USB input mode is switchable from the remote, or from the front panel. The USB 2.0 mode does not require driver installation on Apple Mac systems. A driver package is included to provide USB 2.0 support on Windows systems. The DAC2 HGC has a host of other audiophile-focused functions as well: the SPDIF digital pass-through output, analog pass-through, sample rate and word length indicators (I have been after DAC builders for years to add this feature), and its DSD-over-PCM (DoP) compatibility. The DSD-over-PCM processing opens up the world of DSD to non-professionals. The DoP scheme allows download services to provide DSD files (the same one-bit encoded music that is used for encoding SACDs) to be downloaded to a computer. Those DSD files are then “packed” onto a 24-bit/176 kHz PCM signal, so they can be output via the computer to a compatible DAC, usually through USB output. With the DAC2, you can visually confirm what sample rate and word length is being output from the PC (or any other source) and whether your computer’s audio settings are in sync. The DoP audio is not DSD-to-PCM conversion, such as is processed through such programs as Korg’s AudioGate. The DoP files are genuine, native DSD that are piggybacked on the PCM signal, which makes it more computer friendly. 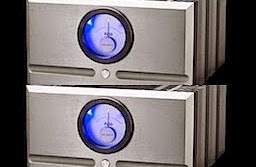 Labels, such as Blue Coast, provide the DSD download music, and Pure Music, Audirvana and JRiver, for example, make the conversion software that allows these files to be played from your computer through a compatible external DAC, a la the Benchmark DAC2 HGC. Pure Music and JRiver also allow the converted DoP files to be saved as export files that can be played from any PCM device that supports 24/176 PCM output, as long as they are connected to a compatible DAC — like the Benchmark or the new Mytek. The Benchmark DAC2 HGC not only allows decoding and playback of the DoP audio from a computer or PCM player, but it can also enable recording of the DoP in real time from the computer. If you play the DSD-on-PCM from a Mac, for example, and the USB is connected to the DAC2, you can record that DoP signal to a 24/176-capable PCM recorder through the Benchmark’s SPDIF pass-through jack. And then you can play that DoP file back from the PCM recorder/player through the DAC2. Pretty darn slick. I’m really liking this DAC. The DAC2 also has more goodies in its feature set including 12-volt trigger and optional silver or black front panels. The Dac2 is more energy efficient than the old Dac1 series, and runs much cooler. The DAC2‘s front panel sports two low-impedance, load-handling headphone jacks, audio mute/dim switch, polarity switch, power switch, and motorized volume control. An assortment of input indicators and the sample rate and word-length indicators round out the front section. There is a lot going on, but Benchmark manages to squeeze it all into the half-rack of real estate. With regard to the sample rate/word length indicators, I can only say thank you, thank you! This is a feature that most DACs lack. Some do have sample rate, but most do not show word length. However, as I have argued for years, knowing the incoming sample rate/word-length information is key to ensuring high-resolution playback from a computer. As computer audio began taking hold in the pro and hi-fi niches, I began to notice that computer audio systems and software often were not automatically in sync. For instance on a Mac, you can have playback software outputting your 24-bit/96 kHz audio file, but if the Mac’s core audio system file parameter is set to 16-bit/44.1 kHz, your high-res signal gets sample rate converted and word length truncated down to 16-bit. That pristine 24-bit file you thought you were listening to through a DAC was barely CD quality, but you didn’t know because your DAC had no visual confirmation of sample rate or word length. With the DAC2, you can visually confirm what sample rate and word length is being output from the PC (or any other source) and whether your computer’s audio settings are in sync. You can also, finally, confirm whether your Blue-ray player actually delivers full-res out the digital port (a hint, most don’t, except for the Oppos). The DAC2‘s sample rate/word length indicator section contains 16-bit and 24-bit LEDs for word-length verification, and 44.1/48 kHz LEDs and 2X/4X LEDs for sample rate status. Thus, if your incoming signal is 24-bit/96 kHz sampling, the indicators show the 24-bit LED, the 48 kHz LED and the 2X LED (48 kHz x 2 equals 96 kHz). A 24-bit/192 kHz audio file lights the 24-bit LED, the 48 kHz LED and the 4X LED (48 kHz x 4 equals 192 kHz). 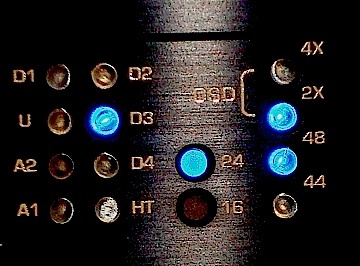 DSD signals are indicated by simultaneous lighting of the 2X and 4X LEDs. Ya gotta do a little multiplication, but the indicators give you the needed info on input signal. The DAC’s back panel is chock full of ins and outs. Ports include two TOSlink and two coax inputs, one USB input, two sets of analog inputs (DAC1 had only one set), two sets of analog unbalanced outputs and one set of balanced XLR outputs. Digital input number four doubles as the digital pass-through (accomplished by moving an internal jumper). There is no analog balanced input, my only quibble with the DAC2. Because the half-rack size necessitated careful feature selection, I suppose something had to go to make it all fit. The remote control duplicates all front panel functions including input switching, volume, dim/mute, and polarity controls. The classy remote is made of aluminum and has a nice feel; the buttons are easy to operate. The motorized volume control makes minimal noise as its servo operates. When you turn on the DAC2, the servo goes through its self check and will move for a few seconds, before stopping at the last setting. When you push the mute/dim button from either the remote or front panel, it will lower the level. Hit it again, and it goes to the previous volume position. I used the Benchmark DAC2 HGC in a variety of playback scenarios, as a headphone amp and line output preamp. I did a lot of headphone listening with my AKG K702s and Shure SRH1840 headphones, monitoring from the DAC2's headphone outs — as well as the other DACs on hand. I also connected outputs of the DAC2 HGC and the Benchmark DAC1 Pre to my Coda preamp and connected the Coda output to my balanced Benchmark H1 discrete headphone amp. By matching the DAC’s outputs, the Coda/Benchmark combo allowed me to do some real A/B listening via headphones. With really accurate headphones, you can listen deeply for differences in audio components, such as DACs. The subtle differences, such as room ambience and audio stereo cues, are easier to hear when you’ve got the speakers right next to your ears. For speaker listening, I either plugged the balanced output of the DAC2 into my CODA high-current solid state preamp, and then fed the pre into a Pass X350.5 or Bryston 14BSST amp, or I used the DAC2 as a standalone preamp, connecting straight to the amp. 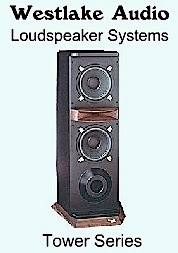 Speakers included Martin Logan Montis electrostatic loudspeakers and Legacy Focus 20/20s. All component line cabling was done via Alpha-Core’s solid-conductor silver cables, and all AC was handled by Essential Sound Products Essence II cords and power strip. Connecting the digital output of the Oppo BDP-95 to the DAC2 HGC, I played a number of high-res PCM recordings for headphone listening. Right off the bat, without even doing an A/B comparison, I could hear the improved resolution over the DAC1. A much more focused, bass and midrange — along with a smoother top-end — was heard form the DAC2. Imaging was wide and deep with the intricate layers of inner detail that high-res music delivers via top-notch components. 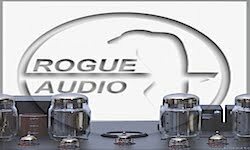 When comparing the DAC1 and the DAC2 through the Coda on the electrostatic Martin Logan's, I played the 2L Blu-ray recording Ole-Bull. 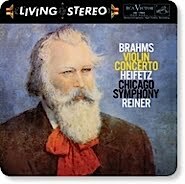 This 24/192 kHz violin concerto was quite impressive through the DAC2 HGC. The rich violin textures and dynamic range were more immersive, like live music, than the DAC1 Pre. Its not that the DAC1 Pre was not high-res, but the DAC2 revealed increased detail and layers that made the violin sound more real — without the harder edge often attributed to PCM. The smoothness reminds me of DSD, yet you still have PCM’s snappy energy in the high-frequency transients. I could really hear those violin bow harmonics with the DAC2. On the high-res 24/96 Chesky live-to-two track recording, Bucky Pizzarelli-Swing Live, the jazz guitar and live drums had dynamic range in spades through the DAC2. On the Itrax DVD-A, Lawrence Juber-Guitar Noir, the percussion and intricate guitar picking were noticeably smoother than the DAC1, and even slightly smoother than on the Oppo BDP-95’s converters, which use the same DAC chip. Those who are used to the tight, bright and hard edge of the previous generation of DACs will be tickled by the DAC2 HGC’s silky smooth sonic signature. Yet it loses nothing on top. Benchmark has ensured compatibility with DSD by adding the DoP-decoding capability. Through computer software player programs, such as Pure Music, JRiver and Audirvana, computers can relay the DSD-on-PCM signal to the DAC2 HGC. Another PCM recording that scored high with me through the DAC2 HGC was the Itrax music Blu-ray, Bryan Pezzone-Piano Pieces, a 24/96 PCM recording,. Though ultra-impressive in the 5.1 soundtrack, the mixed-to-stereo version is still first rate, and the DAC2 HGC delivers an exquisite piano tone that is about as real as you will ever hear from music played through a series of electronic components. On pop music, I played the Talking Heads-Little Creatures, Dual-Disc, an analog-to-24 bit transfer that has multi-layered instruments with an equal tonal spectrum and nice, wide soundstage. 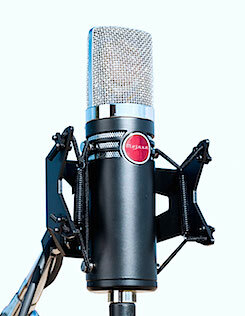 Again, the DAC2 HGC projects more studio-recording refinement of the mix than the DAC1. Guitars, bass, and drums were nice and open with David Byrne‘s quirky vocals dead center. I noticed how real and focused the midrange frequencies were versus the DAC1. On some songs, the DAC2 made the DAC1 sound thin, in comparison. In essence, the sonic signature of the much-touted ESS DAC chip is clearly in evidence in the DAC2, and I think it wise that Benchmark switched to that chip. Using it as a foundation to add its custom DSP, jitter reduction, higher digital headroom and premium analog path parts, the sonic result is one of the best sounding DACs I have ever heard. All the more impressive is the fact that it is under $2,000. As pleased as I was with PCM performance of the DAC2 HGC, the ability to play 1-bit DSD recordings is a must-have feature for audiophiles. Though it is still relatively new, the ability to decode computer-based DSD-on-PCM is another step in moving audio listeners to more high-resolution formats on the PC. The DoP process allows DSD files to be encoded onto PCM 24-bit 176.1 kHz audio files. Since computers are more PCM friendly than DSD, the DoP process allows easy computer upload and download, and ultimate DSD playback, via USB. As a result, DSD music download services have emerged, such as Blue Coast, allowing these files to be downloaded to the computer. Benchmark has ensured compatibility with DSD by adding the DoP-decoding capability. Through computer software player programs, such as Pure Music, JRiver and Audirvana, computers can relay the DSD-on-PCM signal to the DAC2 HGC. And it works. Using an Apple Macbook Pro and Audirvana, I downloaded and played samples of Blue-Coast provided downloads, as well as my own DSD recordings that I had recorded on a TASCAM DVRA-1000 DSD/PCM high-res recorder and transferred to the Mac. I also transferred original live-to-two-track DSD piano cuts that Tom Jung recorded a few years ago. All the DoP music selections were transmitted from the Mac to the DAC2 HGC via USB. Just as with the impressive PCM playback, the Benchmark plays DSD audio with the same accuracy, smooth articulation and open stereo image. DSD always sounds a tinge warmer versus the best PCM, and that was the case with the DAC2. Those who like DSD recordings will be quite happy with the DAC2 HGC. Tom Jung’s DSD piano recordings, made with Joe Grado's specialty microphones, were mind-blowing in their realness. I have never heard a recorded Steinway sound this good. Such spatial definition and depth reflects well on TJ’s recording, Joe Grado’s mics and the DAC2’s decoding. By the way, the DAC2‘s SPDIF pass-through output also enhances the Benchmark’s DSD capability. The digital pass-through mode, which is engaged by moving an internal jumper, on the number two SPDIF (coax) input, allows DoP files to be stored on a PCM recorder, when copied in real time. I found I could copy DoP files by connecting the DAC2 HGC’s SPDIF output to the SPDIF input of my TASCAM HD-P2. I set my TASCAM HDP2 compact flash recorder for digital input at 24/176, and then played the DoP file from the computer through the Benchmark (USB), which passed on the DoP signal to the TASCAM. As the TASCAM was recording the DoP file, it was interesting to observe the incoming PCM recording signal; it showed up on the TASCAM’s signal meter as -30 dB of noise, and I could hear the hiss through the TASCAM’s headphone jack via my AKGs. On playback from the TASCAM, the Benchmark decoded all the copied DoP DSD test cuts — with no glitches or noise — in all its glorious DSD openness and detailed soundstage. Although real-time recording is not as time efficient as saving the converted DoP file on the computer with Pure Music or JRiver programs, it does show that DoP is not limited to just the computer. In fact, I put those converted DoP files on a USB thumb drive, plugged it into an Oppo BDP-95, which was connected to the DAC2‘s SPDIF input. The DSD cuts played perfectly from the Oppo. With all the talk about the DAC2’s digital decoding prowess, we should not lose sight that it also is a flexible preamplifier — with an excellent Class A headphone amp. For many audiophiles, the DAC2 is all the preamp you need. It has two sets of analog RCA input jacks, balanced and unbalanced outputs, and numerous digital inputs, counting the USB. In comparison to several standalone preamps, the DAC2 HGC analog output held its own, and it was extraordinarily quiet. BTW, factory spec’s show that the digital converter has a measured S/N ratio of -127 dB a-weighted — nearly a factor of 10 dB quieter over the DAC1. Shows what advances in chip technology and smart design will get you — in terms of numerical performance. I had no issues with the Benchmark DAC2 HGC, even though it was their very first review unit. The remote control volume control worked perfectly; all inputs switched correctly and the various functions functioned. The manual was completed late in the review process, but the DAC2 HGC was easy to use without it; to me, its functions were obvious. I even tried the 12V volt trigger, allowing the DAC to kick on the Bryston amplifier. It worked as advertised. As mentioned, my only negative was the lack of a balanced analog input to enable fully balanced playback from a balanced analog source. Though not a true criticism, I should also point out that activating the digital output pass-through on digital input number four requires a bit of effort. The cover has to be removed (eight screws) and the jumper moved on the jacks’ circuit. This also means you lose one digital input. Although the Benchmark DAC2 HGC does not look that different from the old DAC1 series, its performance and feature set is so much more advanced. A boost in playback resolution and refined smoothness make it much closer to live music, and the addition of DSD compatibility opens up more possibilities in the world of high-res computer music. Whether you are in the DSD or PCM camp, or just need some clean analog gain, it does not matter with the Benchmark DAC2 HGC; it will play it or pass it on through — with stellar results. Without hesitation, the DAC2 gets an Everything Audio Network Stellar Sound Award, and a permanent place in my reference review system. Now what to do with that DAC1 Pre? I was almost going to get an Oppo BDP-95, then heard that the Oppo BDP-105 was coming out with the ability to be used as an external DAC. Unfortunately, it doesn't decode native DSD files through the USB connection. What were they thinking? It's the same ESS Sabre DAC isn't it? It's Asyncronous USB right? But... my problem is... I still have at least 300+ SACDs in my collection. Is there any way I can use the Benchmark DAC2 to play these SACDs? through the HDMI for DSD (which the Benchmark has no HDMI input).... what would be my best option for playing stereo SACDs? Out of the PS3 via optical as 24/172 PCM into the Benchmark DAC2? In a nutshell, none of the DSD to PCM conversion schemes that are onboard on players are that good. The Oppo Bdp-95 does it at 24/88.1 and is merely okay. The Sony PlayStation at 176 is a little better. There is a SACD ripping hack with Playstation II, but is convoluted. I have about a 1,000 SACDs. I’ll tell you what I do to back up SACDS that are out of print -- so I have good quality copies. However, you need recording gear to do it. I manually record the output of a top-sounding SACD player's analog outputs to 24-bit 192 kHz PCM, and I save them as .wav data files. To listen, I burn them onto a Blu-ray or DVD-data disc and play them from on the Oppo to an external DAC. The one-generation A/D, via a really good PCM converter does not audibly impact the overall sound. With appropriate software, you can also burn a DVD-A versions. The Oppo BDP-95 is a hi-res SACD player and good enough to be the host player. I record onto a TASCAM DVRA1000 -- using a Benchmark ADC1 A/D converter. Those tracks are saved, and retitled on a Mac. I have done more than 100 SACDS like this and, even though it is not DSD, it is definitely high-end, hi-res sound. The better the PCM converter, the better they will sound. In lieu of an easy way to rip of an SACD, or classic SACDs being made available as DOP downloads, my arduous DSD to PCM way yields the most satisfactory results, in my opinion. If you want, I can send you a sample of some I have done. Could you elaborate on the difference in performance between the new Benchmark and the Lavry? I have the DA10 as well - loving the sound but would like to have built-in USB as well as DSD support. I've never heard the DAC1 but read multiple reviews comparing it to Lavry which all seemed to converge on the opinion that Benchmark was more neutral/clinical while Lavry was warmer/fuller sounding. Would you say that DAC2 is a definite improvement over Lavry or not? Does the Benchmark create an audio delay when used with computer video? I play DVDs on my computer and with the Chordette DAC there are lip-sync issues. With flatscreen TVs this can be adjusted, but apparently not with computers. I don't know why some DACs delay the sound sync and some don't, but I need to know wwhich is which.